The feeling of dizziness is an unpleasant but common one, that we might experience mildly every once in a while – when we’re hungry or sick, for example. However, if you were to experience such ‘dizzy spells’ more often or to a more severe extent, you should discuss this with a doctor or private doctor, to investigate for any underlying causes. What Is The Difference Between ‘Dizzy Spells’ And Vertigo? Often confused with ‘dizzy spells’, vertigo is the sensation that either you or the environment around you is moving, whilst you are still. This can include the feeling that the room is spinning, tilting or even rising and sinking. Vertigo is always made worse by movement. Depending on the cause, the severity of vertigo may vary, from episodic attacks to unremitting, constant unsteadiness. It is important to note that feeling faint, light-headed, or ‘dizzy’ in a way that does not cause you or the room to move about is not vertigo! As explained below, vertigo is often caused by changes in the ear’s balance sensors, whilst feeling faint or light-headed can be caused by a constellation of other conditions, ranging from how hydrated you are, to problems with your cardiovascular system. Vertigo is often caused by a problem in the inner ear. 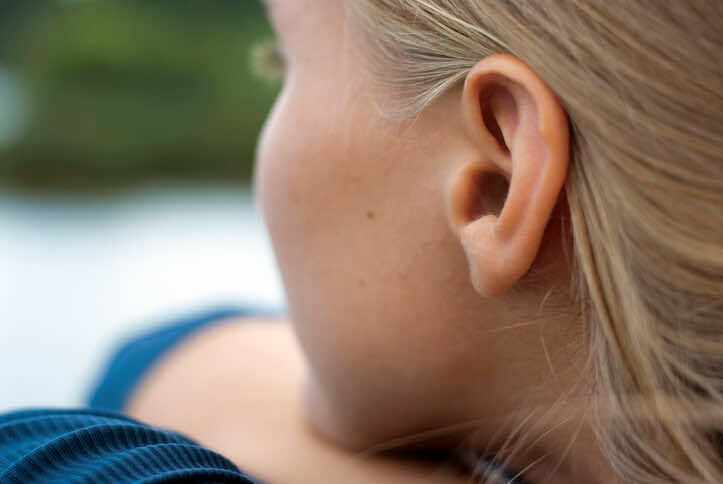 The ear is a powerful organ that, apart from letting us hear, is extremely important for balance. The ear usually sends continuous messages to the brain, informing it of our balance. When something unexpectedly changes inside the inner ear (as with the case with most causes of vertigo) the messages the organ sends to the brain get interrupted. For example, you might be standing on a flat surface and therefore should be steady. However, due to the interrupted messages, the brain (in a state of confusion) tries to correct the messages from the ear and inadvertently causes you or the room to spin around or move, whilst it tries to orient itself. Vertigo is a symptom and not a diagnosis. There are many causes of vertigo and your GP should be able to direct you to the exact cause after speaking to you and examining you. Some of the most common causes of vertigo are described below, with their respective treatments. You may feel vertigo for a few seconds after turning your head. This is common when turning over in bed or getting out of bed. This is due to debris inside the inner ear causing the interruption of messages from the ear to the brain. These pieces of debris are formed in the liquid behind the eardrum (in the inner ear), so cleaning out your ear will have no effect. Earwax is unrelated to Benign Paroxysmal Positional Vertigo. Your GP will be able to teach you an exercise you can try at home (for example, The Epley manoeuvre) that will dislocate and move these pieces of debris from the balance sensors in your inner ear in order to relieve these vertigo spells. With labyrinthitis, you may feel vertigo constantly, as well as nauseous – you may even vomit. It may be so bad that you need to be lying down all the time. This is caused by an infection, usually viral, in the inner ear. It usually gets better on its own, but your GP may give you some tablets to relieve the symptoms, which reduce the rate of interrupted abnormal messages sent from the ear to the brain and make you feel less nauseous. You may get ‘attacks’ of vertigo, with episodes lasting for at least 20 minutes. Apart from feeling nauseous and vomiting, you may also have varying levels of hearing loss and ringing in the ears (tinnitus). The cause of Ménière’s disease is not completely understood. If Ménière’s is suspected you will be referred to an ENT specialist to confirm the diagnosis. The attacks are usually managed with medication. In the case of migraines, you may get vertigo, on top of painful headaches that occur on one side of your head. This is known as migraine-associated vertigo. The headaches are usually throbbing in nature, and you may also have an increased sensitivity to bright lights and loud sounds. Your GP will be able to give you tablets that you can take to prevent you getting such attacks, as well as tablets to take to stop the headaches (and associated vertigo) when they happen. If you started to feel vertigo after hurting your head, this requires an urgent visit to either your GP or A&E, depending on the severity of symptoms. Overall, vertigo is a very common symptom with a high cure rate. It is important that you bring it to your GP’s attention as soon as possible, so that you can start treatment immediately, if required. There are multiple ways to treat vertigo, from simple medications to home exercises and physical therapy. Should you ever suffer from any of the symptoms described in this article, our doctors at LDC will be able to advise you through your diagnosis and treatment. Simply book a future or same day doctor appointment at any of our nine GP surgeries – with so many clinics across the city we should never be too far away when you are in search of a “GP near me“.